Lost to Agnolo Bronzino by a single vote in Round 1. YOUR VOTE COUNTS!!! Lost to Ford Madox Brown in Round 1 by only two votes. YOUR VOTE COUNTS!!! Lost to Daniel Buren by a single vote in Round 1. YOUR VOTE COUNTS!!! Broodthaers and Burne-Jones. I have a weakness for mussels and fairy tales. Broodthaers and Burne-Jones. Broodthaers doesn't do anything for me (except show me letters, which I am fond of) but I can't stand that other guy. Especially that one with the animals looks like depressed teenage boy history class doodles. Which is okay and everything, but I'd rather look at something else. Chalk up another for the Broodthaers and Burne-Jones ticket. I'd rather vote for Brauner and Broadthears and skip the other two. Can I do that? Jenners: Certainly NOT! It says so right there at the bottom of the post. I think this is the strongest first-round elimination set of artists we've seen! I'm going to go Brauner for the first matchup and Bruegel in the second by a hair. I too am going for Brauner--a quick image search reminds me he's got a surprisingly wide range, much of it rather charming. 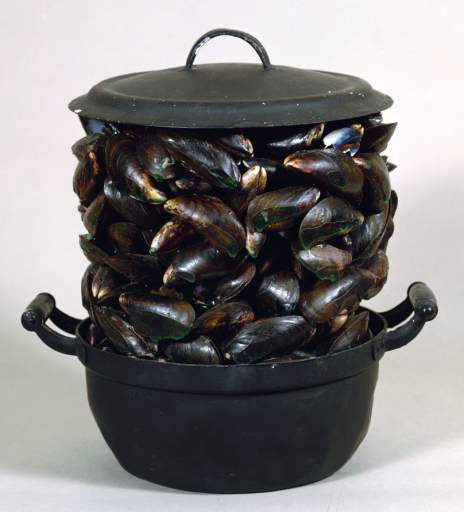 Whereas Broodthaers--well, OK, but he got away with the mussels in a pot gag more often than you would think. 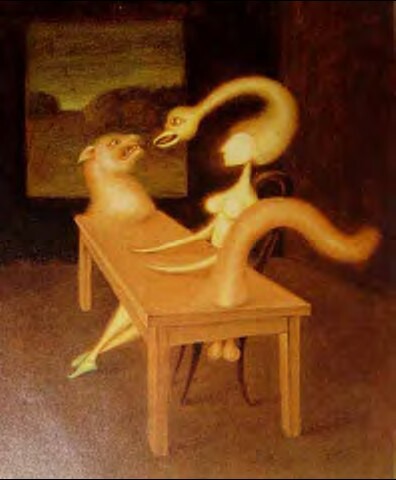 I'll go with the shallowly-absurdist Broodthaers and Burne-Jones (although Candida's observation last round about how all the women in his first one are the same height and have the same jawline does make me question his artistic skills). 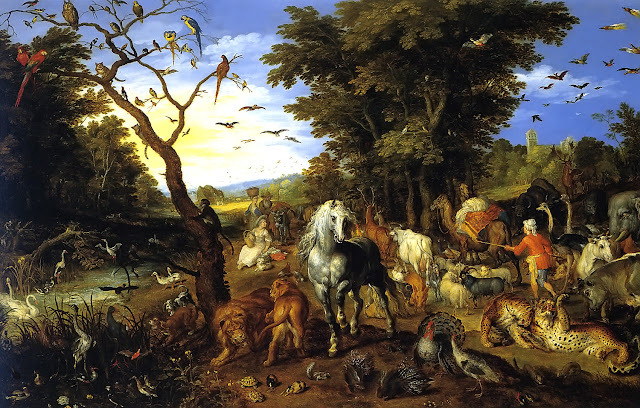 An email vote for J. Bruegel. 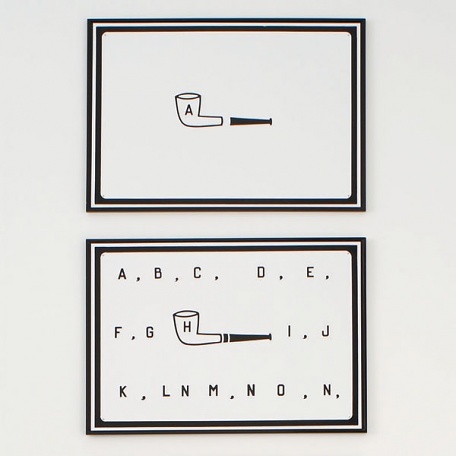 The first one's hard, but I'm going with Broodthaers - I like the aesthetic, but I still don't feel I understand what he's trying to say. 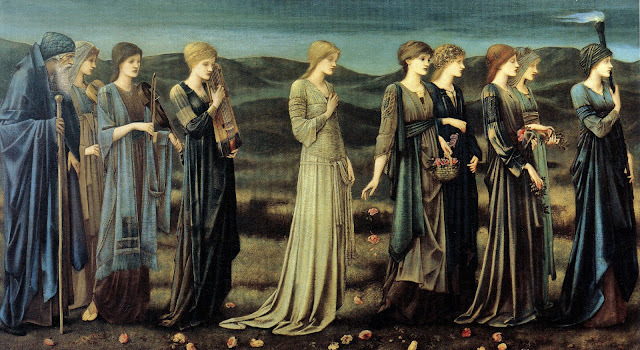 I'm backing Burne-Jones in the second pair - Bruegel the Elder does nothing for me. Broodthaers -- who has most of a room all to himself at MOMA, who knew he was such a big deal? And ouch! A Bruegel, even Jan, against almost the only Victorian I particularly like? THIS TOURNAMENT IS HARD! 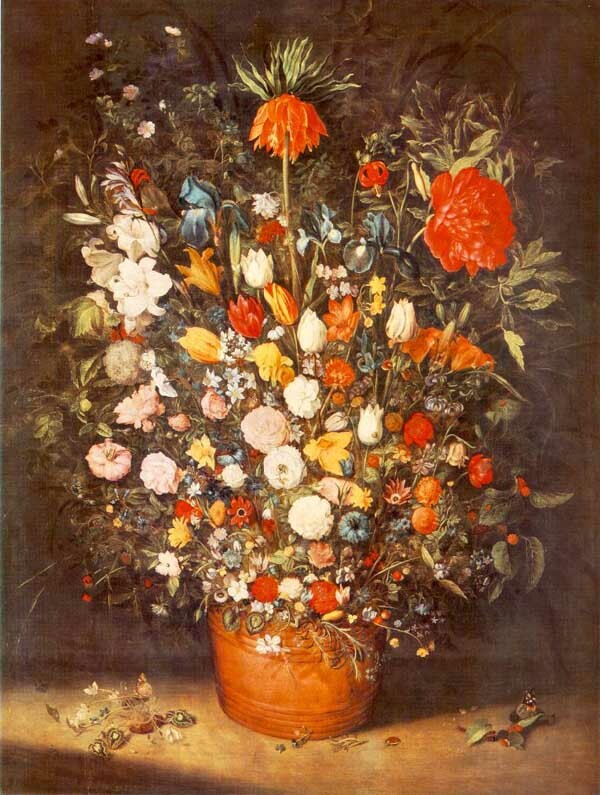 Bruegel, though. A vote-by-mail for Herr Brauner. Don't think my previous vote/comment got thru? I'm voting for Brauner & Brughel (Elder). Welcome to the show and thank you for your vote, Mr. Gordon-Farleigh! FYI, comments on posts older than three or four days old have to wait for me to approve them in -- it's the only way to keep them safe from a vast ocean of spam comments. 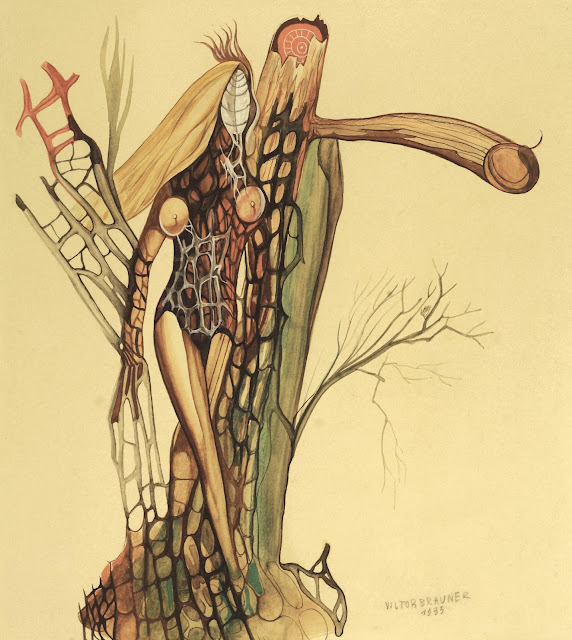 ...and by the way, I'm withdrawing my vote for Broodthaers, not that I love him less but that, having followed the lead of Mrs.5000's comment, I see that our Brauner images here are unrepresentative, and I love him more. Holy smokes! Broodthaers and Burne-Jones both cruised out to 4-0 leads and then stalled. J. Brueghal mounted a come-from behind rally to take his match 7-6, and proceeds to Round 2. Brauner clawed his way up to six votes, meaning that my throwing of Broodthaers under the bus created a 6-6 tie. I didn't do it on purpose, but no doubt I'll have lots of fun digging around and trying to remember what is supposed to happen next with the tie. In the meanwhile, voting is closed in this round.